CHC offers broad services designed to help community hospitals improve operational performance and increase financial strength. CHC offers a variety of partnering options including traditional acquisition and lease models. CHC assumes responsibility for hospital operations and performance improvement. Services to help improve patient satisfaction, clinical outcomes and financial performance. A GPO and comprehensive supply chain services designed just for community hospitals. Consulting and management of long-term acute care hospitals (LTACHs) and other post-acute services. We specialize in turnaround plans that improve community hospital performance. Demonstrated success improving financial performance for distressed hospitals. Streamline operations to improve patient satisfaction, clinical outcomes and financial performance. Experts help hospitals remain compliant with ever-changing government regulations. Establish an actionable strategy to implement improvements that yield sustainable results. CHC is committed to helping Community Hospitals improve their performance. As the U.S. population has aged, many hospitals have struggled with capacity issues. 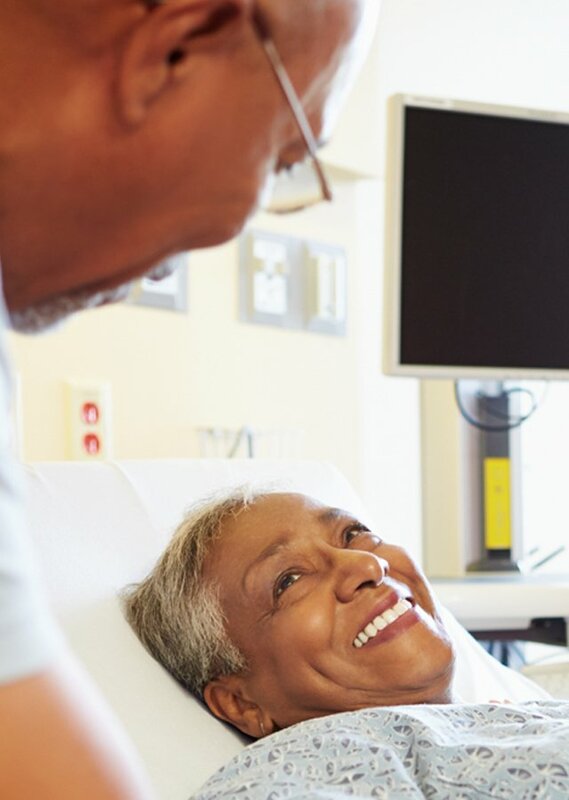 Such institutions often find themselves with many patients who have received appropriate treatment, but are still too fragile to be discharged to a rehabilitation hospital, nursing home or similar step-down facility. Several years ago, Trinity Mother Frances Hospitals and Clinics faced exactly this challenge. Community Hospital Corporation (CHC) stepped in with a solution. The CHC team is ready to help your community hospital. Reach out today and take the first step. We will be back in touch right away and will add you to our email list to receive educational emails.